Is Vinegar Harmful to Grass? Weed problems can exist in almost any lawn or garden. A common way to eliminate weeds is to spray chemical herbicides, but they aren't always effective, and the chemicals are typically harmful to the environment, animals and humans. Fortunately, there are many natural solutions for killing weeds. Two very effective weed killers are common table salt and plain white vinegar. Your weed problem can be taken care of with as little as one application of these two ingredients. Pour 1 quart of white vinegar and ½ cup of salt into a mixing bowl. Stir the ingredients with a spoon until the salt dissolves. Pour the mixture into an empty spray bottle. If necessary, use a funnel to ensure you don't spill the mixture. Spray unwanted weeds with the mixture. Use just enough of the mixture to cover the weeds with a light mist. Check the weeds three days after the initial application. 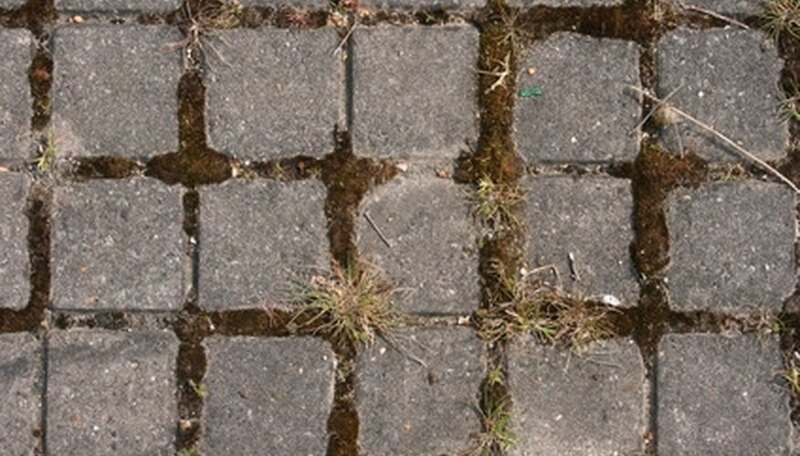 If the weeds still appear to be alive and healthy, spray them with the salt and vinegar solution one more time. If the weeds are withered or brown, they do not need a second application. Put on rubber gloves to protect your hands from the vinegar. Vinegar with a high acid content is capable of burning skin. Fill a spray bottle with 10 to 20 percent vinegar. This type of vinegar is much more effective than common 5 percent cooking vinegar. A 2005 report from U.S. Department of Agriculture's Agricultural Research Service forund that vinegar with only 5 percent acetic acid will only kill the top growth of a plant, without damaging it roots. Spray the vinegar directly on the crab grass. Do your best to keep it off other plants as any plant life that comes in contact with the vinegar will likely also die. Check the affected areas every three days as it may take more than one vinegar application to kill the crabgrass roots. Reapply the vinegar as needed. According to the USDA report 20 percent vinegar provided "optimal and total grass and crabgrass weed control." Combine 5 oz. of lemon juice with 1 qt. of white vinegar in an empty plastic spray bottle. Spray citric acid and white vinegar solution directly onto weeds to kill the plant. Saturate the soil with the solution to prevent future weed growth. Pull on kitchen gloves before handling salt, detergent and vinegar. Pour vinegar into a stock pot. Add salt and stir while simmering until salt is dissolved. Add 2 tablespoons of liquid detergent. Pour liquid herbicide into a spray bottle. Spray onto the leaves of weeds until the leaves are saturated. Wait for the plant to die. Signs of plant death include brown, dry and crumbling leaves. Remove vegetation. Observe the ground for signs that the plant is re-emerging. Reapply the herbicide as needed. Vinegar has a high content of acid content, which affects the pH balance of the soil. When the pH balance is changed drastically, whatever is growing in the soil will die or dwindle. 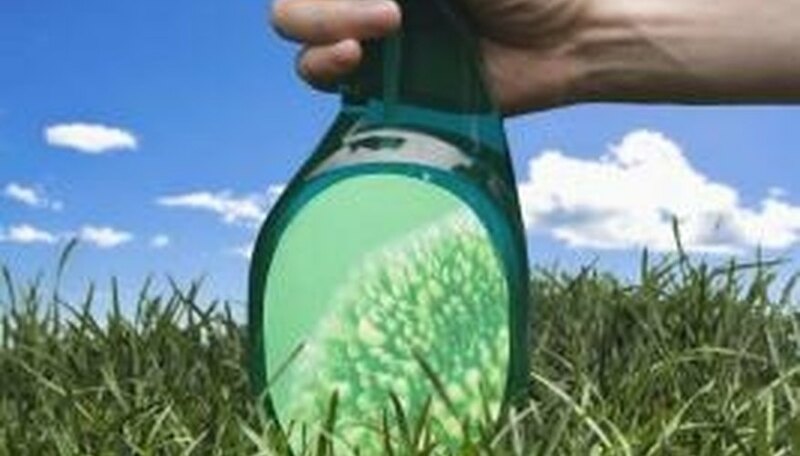 Vinegar can be applied to grass or weeds by spray bottle. 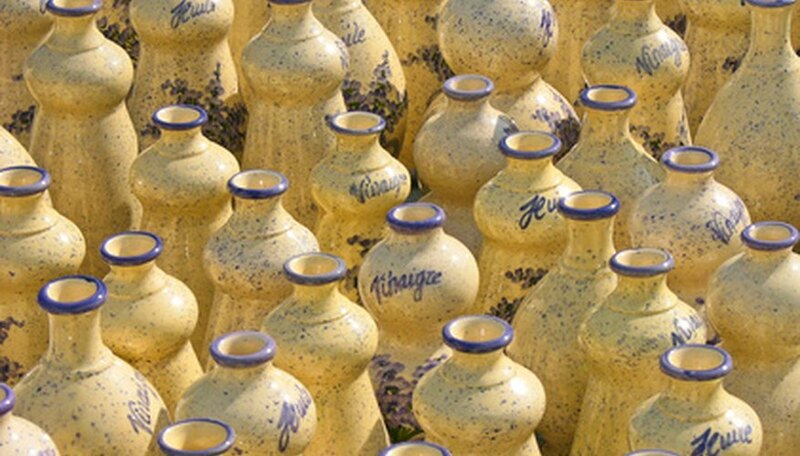 The vinegar has even stronger effects on hot days. Absent a spray bottle, a couple of tablespoons of vinegar can be poured over the grass to kill it, or the vinegar can the applied directly into the soil. Results should be evident in a couple days; if not, continue applying vinegar. If you intend to plant flowers in the area after the grass dies, get rid of the grass using a method other than vinegar. Because vinegar is safe to humans, it is not dangerous to use in the yard. Other chemical pesticides can have numerous side effects on humans or pets. Locate where the orchard grass is growing on your landscape. 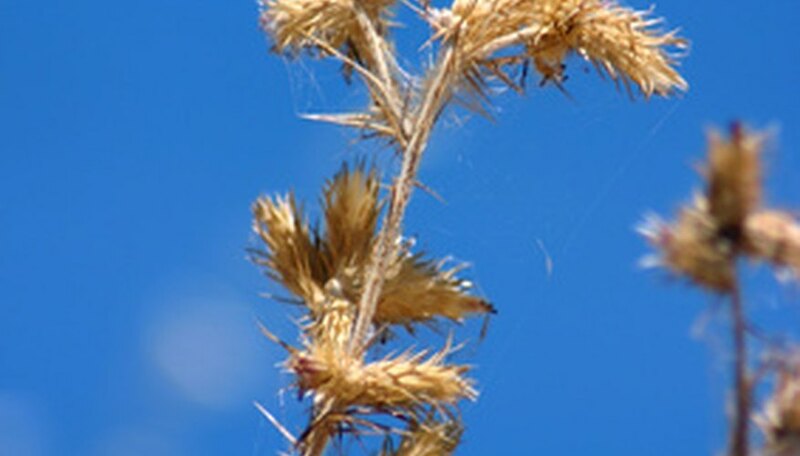 It is usually tall, with thick stems and a wheat-like appearance on top. Fill a spray bottle with white vinegar. Do not dilute it. Measure out about 2 cups of the vinegar for every square foot of orchard grass. Soak the grass with the vinegar spray from the bottle, targeting the orchard grass within a couple inches. You want to saturate it completely. Keep an eye on the orchard grass after applying the vinegar. It should start to die within a half hour, and should be completely dead within two days after applying it. If it is still alive, repeat the process. Drain the pool as you normally would so that the scale is above the water line. If the scale is scattered throughout the pool, drain the pool completely. Fill a spray bottle with apple cider vinegar or white vinegar. Spray the scale heavily with the vinegar and let the acid break down the minerals for about five minutes. Spray some vinegar onto a scrub brush and scrub the scale until it comes off the pool wall. Spray with more vinegar and keep scrubbing until all of the scale is gone. If the scrub brush is not effective, use a pumice stone. Spray the walls of the pool with a garden hose to rinse away the vinegar. Use the hose to push the vinegar and bits of scale toward the drain until the pool is completely clean. Wait for a hot, dry summer day if possible. For best results, ensure no rain looms in the weather forecast. Too much water will dilute the vinegar, making it less effective. Pour the vinegar liberally over the grass you wish to kill to the point of saturation. The exact amount will depend upon how much grass you are trying to kill. Soak the grass in vinegar. Observe the grass over the next few days. If the grass does not die, apply more vinegar to the area. Pour acidic vinegar into a gallon sprayer. Add 1 ounce of dish soap per gallon of vinegar, if you choose to add soap to the mixture. Spray unwanted grass. Where there is no risk of damaging plants you would like to keep, consider pouring instead of spraying. The vinegar will then soak to the roots. Apply again if grass starts coming back. The vinegar works by soaking the moisture from the leaves. Spraying the first time may allow the roots to produce a new plant, but it will be considerably weaker than the original plant. The first step to determining whether or not you should water with vinegar is to test the alkalinity of the soil. You can get a pH soil testing kit at a local garden or hardware store. The soil should be between 5.8 and 6.6 for most plants, but some plants such as rhododendrons prefer a higher level of acidity. If your pH is too acidic for your plants, you can adjust it with white vinegar. Mix 1 tablespoon of white vinegar into 5 gallons of water or 1 cup of white vinegar into 5 gallons of water if you are using a hose siphon. Water your plants with the mixture and see if the plants improve. If you have azaleas, rhododendrons, hydrangeas or gardenias, these plants actually like a higher level of acidity. To water these plants, mix 1 cup of white vinegar in a gallon of water. The vinegar helps the plants absorb more iron as well. If you have grass, weeds or other unwanted growth in your garden, pour undiluted distilled white vinegar directly on the growth to kill it. You can also pour vinegar on ant hills or around areas where you have had ants before to keep them from coming back. Pull on kitchen gloves before handling chemicals. Pour a gallon of white vinegar and one cup of table salt into a stock pot. Heat the pot and stir the contents until the salt dissolves. Add 1 tablespoon of dish soap. Allow contents to cool and pour into a spray bottle. Time the application of weed spray for early in the morning or late in the afternoon in summer or midday in winter. Plants are involved in transpiration during these times of day, and will absorb the herbicide through their surface and move it through their system and down to the roots. Spray vinegar herbicide onto the leaves of the plant to encourage absorption.